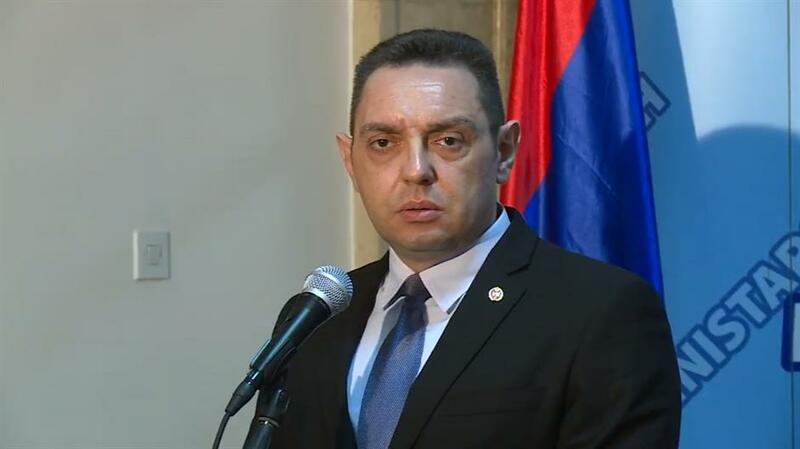 After authorities in Pristina banned him to visit Kosovo, Thursday, on Vidovdan day, a Serbian religious and national holiday (a ‘slava’ as is known in the Serbian language), Defence minister Aleksandar Vulin said that “Albanians” were afraid of what he might say during the planned visit. At the same time, Vulin refrained from further comments, in accordance with the “advice” he has received from president Aleksandar Vucic, as he explained. Vidovdan is celebrated on June 28. The Serbian Orthodox Church designates it as the memorial day to Saint Prince Lazar and the Serbian holy martyrs who fell during the Battle of Kosovo against the Ottoman Empire in 1389. In the statement to Tanjug news agency, Vulin said that “Europeans were also afraid” of what he could say in Kosovo, alluding to EU officials “who often teach us lessons about the freedom of expression”. Vulin claimed that Pristina and Brussels have imposed “verbal delict” by banning him to travel to Kosovo. “I talked with the president and commander-in chief (Vucic) and we have agreed that it would be better if I refrain from any reaction which may be used as justification for the violence against Serbs who celebrate Vidovdan (in Kosovo)”, Vulin said adding that he has decided not to travel. At the same time, the Defence minister underlined that he would “not stop to think and talk” regardless of the “attempts of banning” him from doing so. The central state and church celebration of Vidovdan was organised in Krusevac, the medieval capital of Serbia. The manifestation was headed by Labour minister, Zoran Djordjevic, the president’s envoy. Djordjevic said that the Battle of Kosovo represents “the symbol of struggle for freedom, against both the occupation and those who want to steal from the Serbian people what belongs to them”.